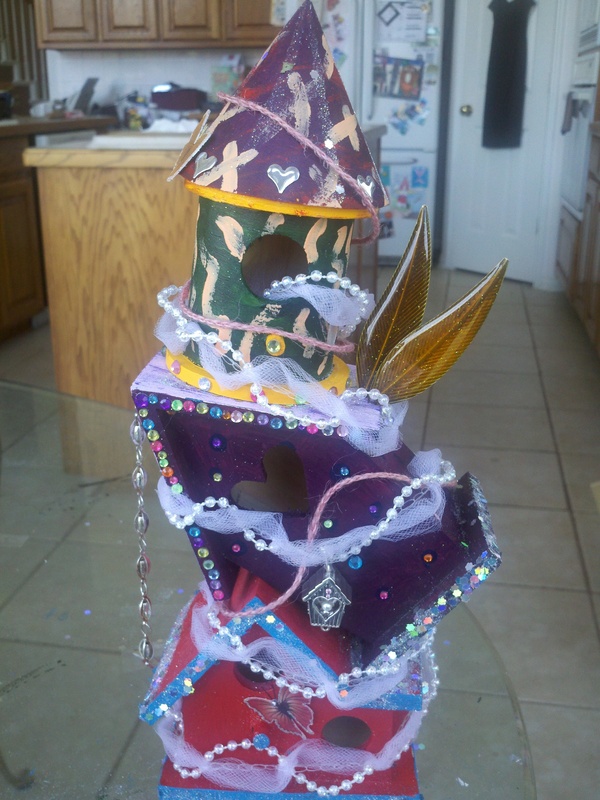 This entry was posted in crafts, inspiration, personal and tagged birdhouse artwork, birdhouses, decor, painting, repurpose. We’re definitelygoing to get more of them to play around with! I was even surprised at how gaudy I wanted my final piece to look, but since these are so basic at the start, they can be customized entirely to each persons taste! Thank you my dear! These are so fun to work with!! Tons of options!